The Ombudsman for Human Rights and Justice is an independent constitutional authority with a mandate to promote and protect human rights and good governance in Timor-Leste. It serves as a National Human Rights Institution as well as a traditional Ombudsman. It reports to the National Parliament on its activities. The Ombudsman focuses its activities on human rights and good governance violations, based on acts or omissions by public authorities. Public authorities include public hospitals, public schools, police and military service, central and local government authorities, any staff employed by the State as well as private individuals serving in a public capacity and companies which are majority government owned. The Ombudsman undertakes a series of functions, including receiving and dealing with complaints, monitoring the activities and performance of public authorities, reviewing draft legislation, requesting the courts to pronounce on matters related to the constitutionality of legislation and implementing educational and promotional activities. It regularly reports on its work, ensuring that the public is informed of its actvitities and the results accomplished in promoting human rights and good governance in Timor-Leste. The Ombudsman has overarching powers, which include the power to subpoena people and documents and to enter public offices and other public buildings, among others. The Ombudsman provides recommendations to public authorities so as to ensure full compliance with human rights standards and good governance practices. These recommendations aim at not only at bringing about accountability to a specific violation but to support public institutions in taking actions, including legislative, policy, regulamentory, and others, to prevent violations occurring in the future. While the Timorese Ombudsman, like all others, does not have executive powers, it has the mandate to identify the roots of the human rights and good governance challenges, based on its overarching powers to collect and access information. 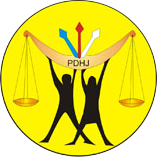 The PDHJ strategic plan, annual reports, and other publications are accessible in the publications library.